Imperfect skin surface got you down? With the Dr Abby Clinic eMatrix Sublative Rejuvenation, flawless skin is yours to have. While this procedure is excellent for the face, it can also be used to treat stretch marks on the body. It is only natural to desire glowing skin, and with the eMatrix Sublative Rejuvenation, discover beautiful results within three to five sessions. 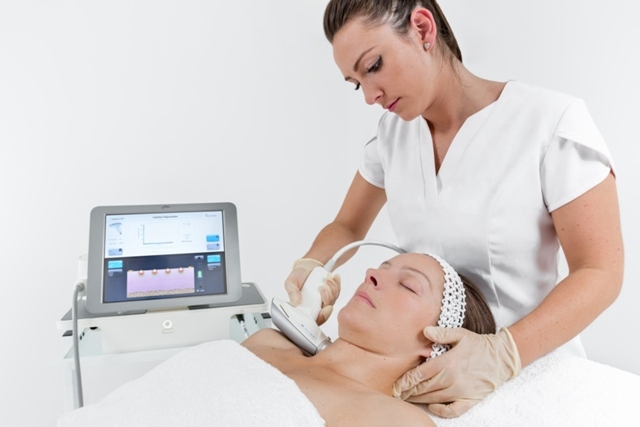 An alternative to harsher treatments such as fractional lasers, the eMatrix Sublative Rejuvenation uses radio frequency technology, targeting the deeper layers of the skin to bypass the superficial layer. Utilising the world’s first RF-only technology, the eMatrix places heat energy effectively into the dermis, where it can induce a significant increase in both collagen and elastin with minimal epidermal disruption. Gentle in treating wrinkles, acne scars, textural and radiance loss, as well as open pores, the breakthrough treatment also offers an intelligent feedback system, allowing physicians to measure for consistent treatment delivery. Skin wrinkles and acne scars are real, and skin irregularity impacts 95 percent of women during puberty or pregnancy. Even though the eMatrix Sublative Rejuvenation does not involve harsh lights, it is still able to simulate the same effects of similar laser treatments to resurface the skin, making it the safer alternative for all skin types, specifically Asian skin. Avoid potential complications from more aggressive treatments, and say hello to your saving grace. Dr Abby Clinic, A1-1-07, Solaris Dutamas, Kuala Lumpur. Tel: 03-6211 3611.